My sweetheart bought me this gorgeous bouquet of David Austin roses for Saint Valentine's Day at our local flower shop. 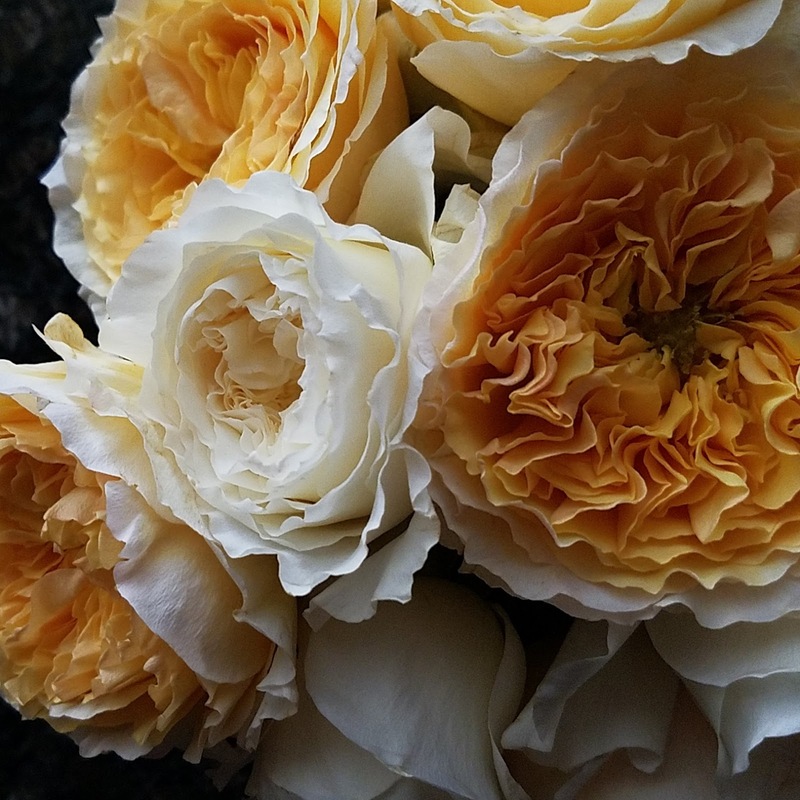 I am absolutely swooning over their scent and the delicate color of these beauties. I am thankful that the florist was able to tell me the names of these blooms (the peach is called Beatrice and the white is Patience)... I'd love to order a few for our Paschal table.